4 simple steps to the perfect budget! Did you know that 70% of lottery winners are broke within a couple years? How about the fact that 60% of professional football and basketball players are bankrupt within five years? The numbers are staggering. Although most of us will never make NFL money, the principles that lead to some player’s financial ruin can be your undoing as well; learning to budget makes a huge difference regardless of how much money you have or make. The purpose of this lesson is to help you understand the importance of developing and following a budget. 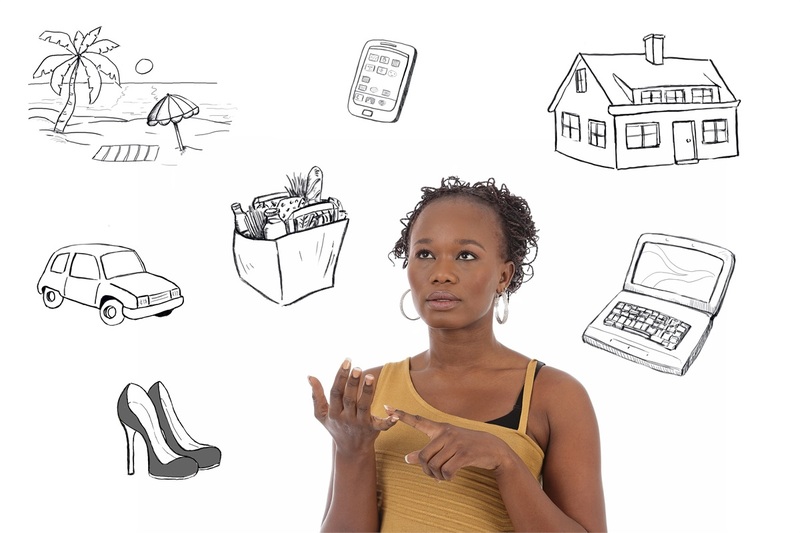 During this lesson, you will learn about the costs associated with purchasing the things you need for everyday living and you will learn how to create a budget for these items. Break your expenses into categories based on your lifestyle. I would suggest the following categories. Install an app like Credit Karma or create a simple excel budget worksheet to plot out your current spending in one column. In the second column, develop goals and track your progress monthly. Remember to include items that you pay for annually like subscriptions (Pandora and Bills season tickets for me). You might have to go back through the last 12 months of bank and credit card statements to remember what you are paying for; I did. Reflect on your variable expenses and see how you feel about your purchases a month later. Are you still as excited about that toy? Is the avocado toast worth it (shameless millennial reference)? Think about decreasing some of the spending on yourself (which in the end doesn’t bring a lot of joy) and increase the amount you share and spend on others. For instance, charitable giving is one of the most rewarding things you can do with your money. With the other expenses, try to minimize what you spend and focus more on experiences and special items that create lasting happiness. Once you have six months of budget worksheets, plot out your progress. Increase your savings, and accelerate your debt repayment. You are on your way to financial independence! A well-designed and thoughtful budget can make the difference between financial independence and financial ruin. Don’t wait until it’s too late are there are no do-overs when it comes to planning. There will be a point where it’s too late to correct course. Reach out for more help if you need it; I love helping and what I do. I would love to hear your thoughts and questions. Everyone in Buffalo deserves a Thoughtful Plan!